We make ordering your trap easy and safe. We utilize PayPal, the world's largest online payment processing tool, as a secure outlet to make your purchases. 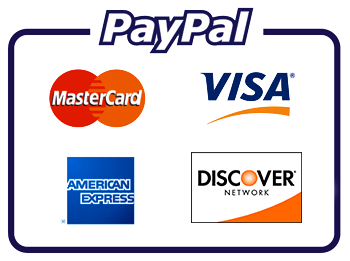 PayPal allows you to use the major credit card of your choice. You do not have to be a PayPal member to order one of our traps. Shipping is FREE and is included in the price of our traps. All items ship United Parcel Service (UPS). Please allow up to 10 business days for shipment. All of our orders usually ship within 10 days or less. Outside of the US, please contact us and we will process your order manually. Traps are shipped once payment is received. We require only the personal information that is needed for safely processing your online order and for contacting you about your transactions. It is used exclusively for that purpose. Your personal information is never shared with any other party. Each trap model we sell is identical to the other except in one very big difference: pre-treatment with live Armadillo scent. 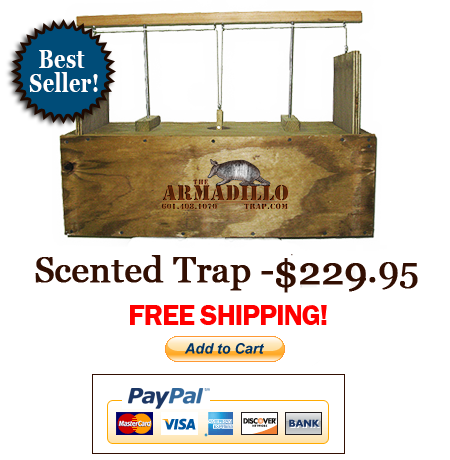 No other single factor will help you be successful in the live capture of Armadillos than using a trap that is scented with "the real deal". Learn More Here. NOTE: For orders of 5 or more traps, please contact us prior to placing your order. 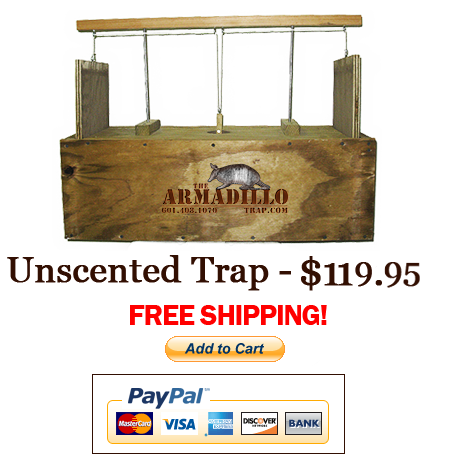 The Scented Armadillo Trap ships 32" x 12" x 12" at 30 lbs and is made of pressure treated lumber. It comes pre-scented with live armadillo scent. We offer our traps fully assembled. Virtually no installation is needed and complete instructions are provided. The trap is shipped free from defects in material and workmanship. We stand behind our product and will replace any trap than does not function properly. The Unscented Armadillo is identical in all specifications to the Scented model except that it hasn't been pre-treated with live Armadillo scent. The use of guides is strongly recommended whe using the Unscented Trap. Learn more about guides in our FAQ section.